WILLOW'S COTTAGE: What a Week(end)! Wow. Where did the week go? Well, I know where my weekend went; but the whole week flew by, too, which is why I didn't even get around to check on others who posted their Friday Fave Fives last week (my apologies! I'll do better this week.) 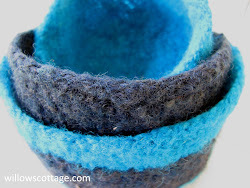 If you wish to participate in Friday Fave Fives, follow THIS LINK to Susanne's blog. 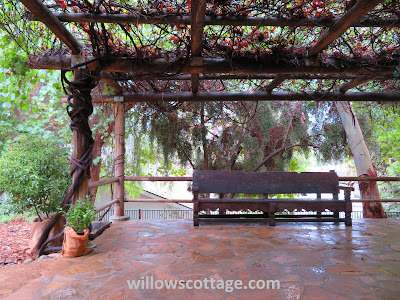 My very serene view of the patio before everyone arrived. Do you notice the damp spots? Yes, it rained Friday night. Believe it or not. In Southern California. Not much, just enough to get everything wet and make it all smell wonderful. 2. 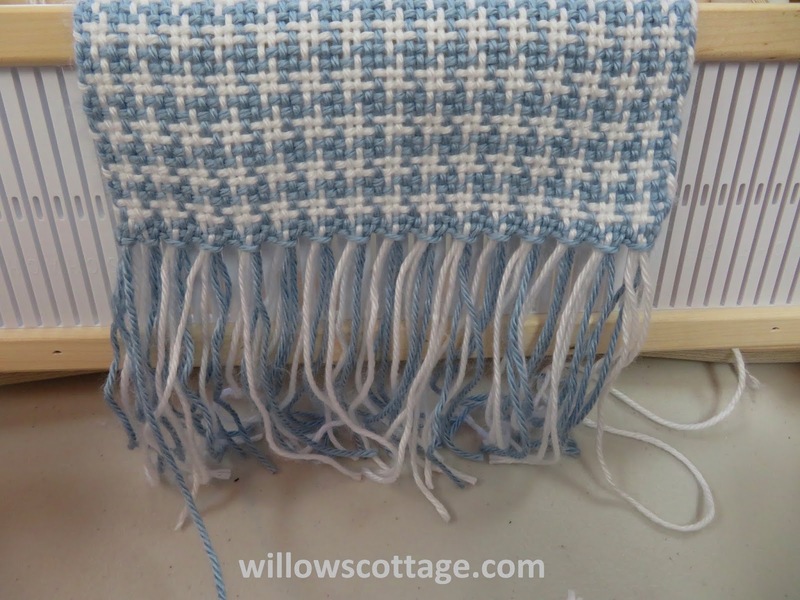 On Saturday, I took my rigid heddle loom and worked on a scarf which I nearly finished that day. 3. 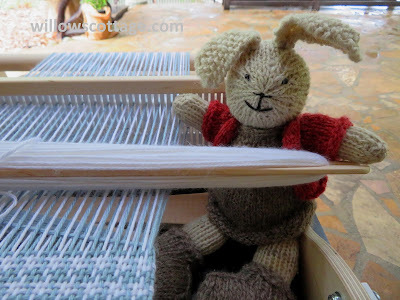 On Sunday, I had my spinning wheel and worked with some alpaca fiber. It's fun to play the guessing game with the kids. "What kind of fiber am I spinning?" Some of the hilarious answers included elephant, giraffe, dog and cat. 4. You'd think I'd take a day to rest, right? Nope. Monday morning, my friends and I surprised our friend with a Birthday Brunch. At her house. Her husband and daughter organized it, and for once, she was truly surprised. It was the BEST! 5. Guess what I did on Tuesday. Yep. Nothing. The reason that is one of my faves should be obvious. You only need two tools in life. I love the wise words!! And your beautiful, creative work!! Loved the bit of wisdom at the end! You've had a busy week! Glad it went well. The scarf is lovely. Okay, I am back. I had to repost what you said about duct tape and WD-40 on our seniors FB page. I know they'll get a kick out of that. Eleanor looks like a very capable helper and is so adorable. And your scarf is just as adorable, too. I hope you post photos of you modeling it. I LOVE the answers kiddos gave about the type of fiber you were using. Did anyone guess alpaca? So glad you had a day to do nothing!!! How fun to be able to truly surprise a friend for her birthday. I don;t think I've ever had a true surprise party. Hurray for rain. We got a bit, too. And I LOVE the smell. You were busy! The scarf is lovely. 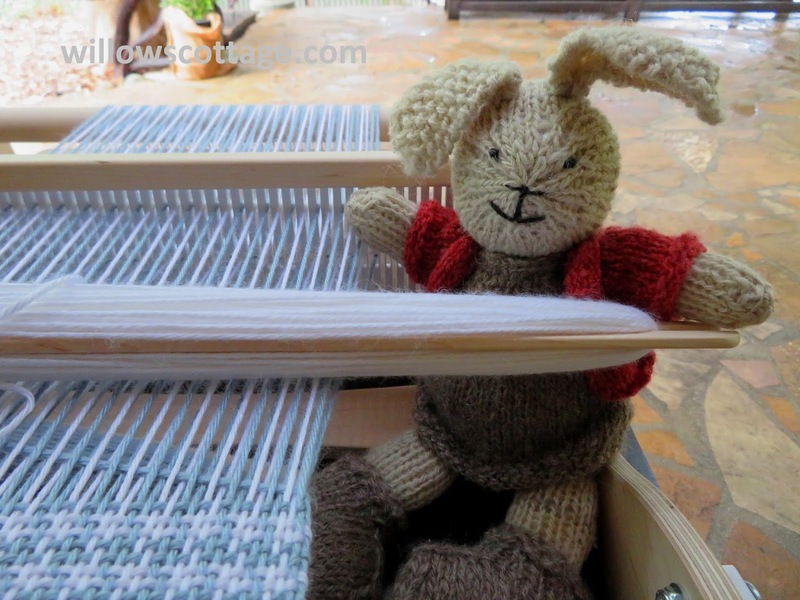 Glad you had a nice venue to enjoy your weaving and spinning! A surprise that was a surprise...that's always fun. Eleanor is a cutie! That looks like a beautiful spot. 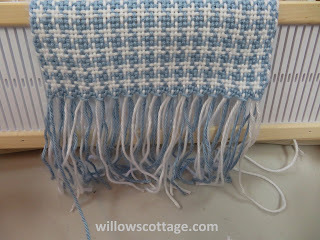 My children and I used to go to weaving demonstrations when they were little. It looks like a very soothing activity. I'm sharing your wise words with my husband. The scarf is beautiful! What a lovely spot to spend a couple of days. The kids answers to your question cracked me up. As did the words of advice. I love the smell after a short rain.